Mark was our guide and took good care and accommodated in every possible way. Dropping me off at Silk market while coming back on first day, offering to drop me at station and then arranging a taxi to airport after the tour was over. 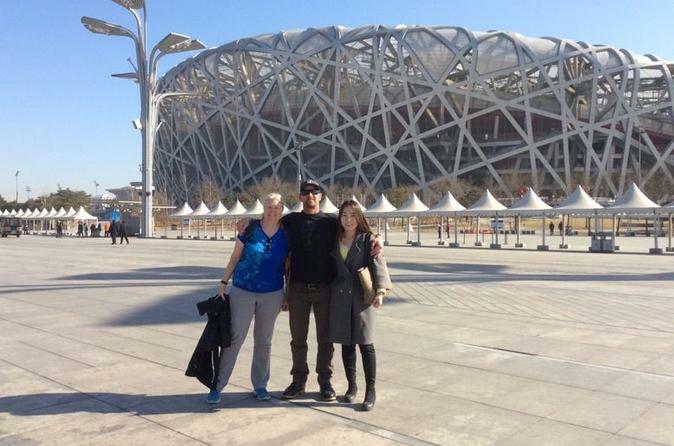 Beijing is a beautiful place and was even better with the small and lively group that we had. This tour was fabulous. The small group really made for an intimate experience. The pace was perfect (not too quick, not to slow). We enjoyed all the sites, but our tour guide Eva really made the experience great for us. She was truly fantastic. We got a great sense of the city seeing both new and old tourist sites. Don't book any other tour, this is THE ONE! A great tour with Sunny. I would recommend to other travellers. Our two day tour of Beijing with William was the highlight of our Asian journey, which included a 10 day Windstar cruise in Japan, 3 days in Beijing and 3 days in Hong Kong. William was extremely knowledgeable, organized, timely and delightful to be with. We learned so much about the fascinating history of the Forbidden City which made it come alive. Tienanmen Square, the Summer Palace and the Great Wall were amazing. He went above and beyond the usual tour by suggesting we see a Kung Fu Show and/or an Acrobat Show and provided the transportation for us as well as accompanying us. It was wonderful and added an extra dimension to this small group 6 people experience. Love the itinerary for the two days - best of the Beijing. Last year I did the 1 day tour, this year with my wife and 3 other friends we did the 2 day and it was amazing. The sights were excellent and our guide was knowledgeable, answered our many questions and keep up moving. A great value and gave us a good feeling of Beijing and it's history. This was a fleeting visit for us to Beijing. The 2-day small group tour was perfect as it highlighted everything we wanted to see and then some. Our guide, Peter, was without a doubt the best guide I have ever encountered. His English was excellent and his knowledge of this city, its history and general knowledge was beyond compare. He was always punctual, provided water, ensured everyone was happy with the program was able to answer every question asked and offered handy little tips. 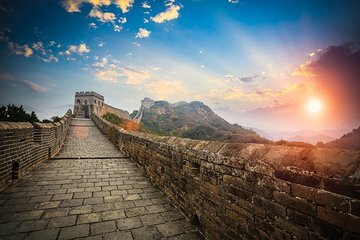 If you are thinking of a trip to Beijing and can book any of the tours offered you should definitely try and book this one, if possible, with this guide. The two day was all that one could hope for. It touched all the bases. Sunny our guide was exceptional. This tour was a very good indeed. We were part of a group of 6, all of whom were very friendly and we had plenty of laughs along the way. The smaller group enabled our tour guide Jimmy to move us around the sights quite efficiently, he would also wait for any of us to catch up to give us information if we got distracted taking photos for example. He was a very knowledgeable about the history of all the sites we visited and he also gave us a personal insight of his life at home and as a guide. The Chinese lunches on both days were lovely, Jimmy helped us order and ensured there was plenty to go around. Just a word of warning, Beijing in in February can be very cold, -7 degrees at times so prepare for it, the plus side of this is that all the venues were not too busy at all making walking around a pleasure. Coincidentally, on our day of leaving the temperature was 6, we were told Spring had started!! My wife and I thoroughly recommend this tour. The places visited are iconic and beautiful, you come away feeling you have seen and understood just a small part of Chinese history.